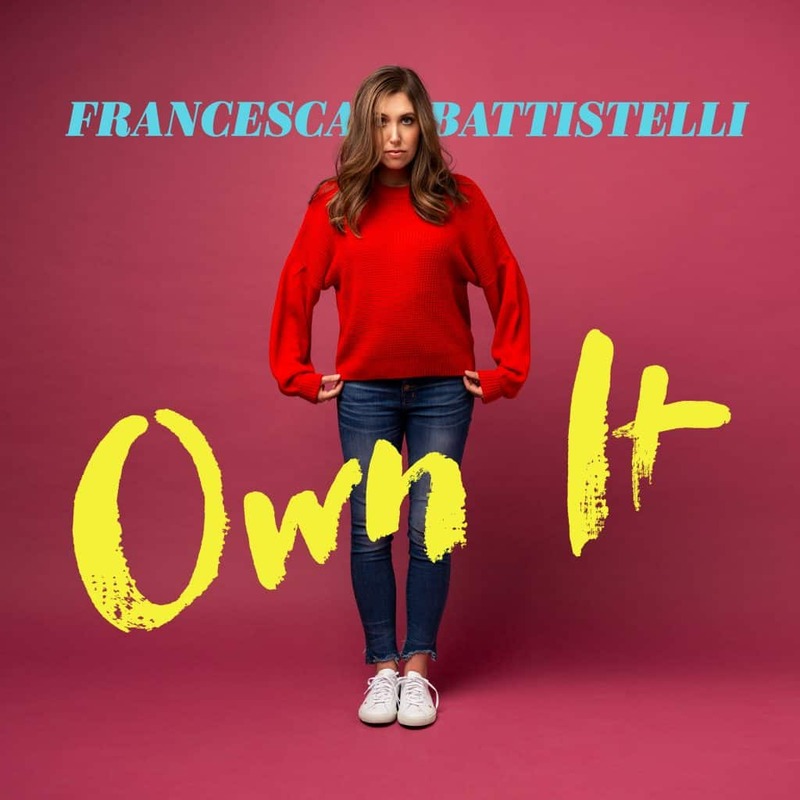 Francesca Battistelli is breaking on the scene with her latest album, Own It. Read on to see our review and thoughts on this breakout album! Disclosure: I’ve partnered with Word Entertainment for this sponsored review. All opinions are my own. I was streaming music the other day and came across a video on Francesca Battistelli, one of YouTube’s artists on the rise. Immediately, I was intrigued by her voice and her messages in her song. I started to do a bit of research on this artist and found out that she is a GRAMMY award winner, a singer/songwriter and one of the leading Christian vocalists on the scene. She is also stunningly beautiful. After listening to her hit, “The Breakup Song” on YouTube Music, I was ready to delve into the rest of her upcoming album titled, Own It. This album features 10 tracks and is filled with inspirational songs that have a progressive pop sound. I received an advance copy of the album and have been listening to it on repeat since it hit my inbox. I can tell you that as someone who is not typically tuned into Christian music, this is different. Own It is fresh, inspirational and uplifting and although it is a Christian album, it reminds me more of The Greatest Showman soundtrack with empowering, catchy songs that make you want to get up and make a change. I’ve really enjoyed delving into this album and hope that you will grab it in stores on October 26, 2018 too! Ten songs, packed with inspiration and messages that everyone needs to hear. Check them out below. I have enjoyed the entire album, but with any album we always find our favorites. There are two that I cannot get off repeat. “The Breakup Song” and “This Could Change Everything”. Each of these songs speak to me for different reasons. “The Breakup Song” talks about not being owned by fear. This song can be applied to many situations. Real break ups, overcoming fear, breaking out into the world and starting new are just a few themes that can be garnered from this. As someone with anxiety, fear is something that I constantly battle. “I know I am strong, brave and I am free. Got my own identity, so fear, you will never be welcome here”, are some of the lyrics that just spoke to me. “This Could Change Everything” is an anthem about making choices and taking a leap of faith. This year has been full of going outside my comfort zone, of putting more into this blog and into my life and putting focus on what is most important, my family. I love the inspiration this song entices out of me. It makes me want to push harder, to encourage those around me and to take more leaps. The music video is also awesome and you can see how everyone just feels the song in their soul. Me too, video people, me too. Previous Post: « Get These A-MAZE-ING Halloween Handouts with FREE Printable!